It's been nearly 20 years since California Gov. Pete Wilson won re-election by tying his campaign to the anti-illegal immigrant measure Proposition 187. Ads featuring grainy images of presumably young Hispanic males crossing the border energized a largely white electorate terrified of being overwhelmed, financially and socially, by the incoming foreign hordes. To be sure, particularly in this region, few would want to see a return to breakneck population growth. But there's little denying that California has shifted from a vibrant magnet for the young and ambitious to a state increasingly bifurcated between an aging, predominately white coastal population and a largely impoverished, heavily Hispanic interior. This evolution, as suggested in last week's essay, has much to do with what passes for "progressive" policies – high taxation, regulation and an Ecotopian delusion that threatens to crush the hopes of many blue-collar and middle-class Californians. California's consistent net outmigration over the past two decades continues, albeit at a slower rate. Over that period, California, notes a recent Manhattan Institute report, has lost a net 3.4 million people. This outflow has slowed with the recession and housing bust, but could swell again, as in the past, when the housing market recovers, and people can sell their homes. This long-term outmigration likely stems from a combination of persistently weak job growth, relatively higher unemployment rates amid generally far higher housing prices. Until 1970, notes demographer Wendell Cox housing prices in California, including Los Angeles and Orange County, were generally in line with national averages, adjusted for income. But over the past four decades, California's housing prices relative to income have mushroomed to more than twice the national average. This is particularly true in places such as Orange County, where housing prices, particularly near the coast, are so high that younger even solidly middle-class families have little chance to enter the market. These high prices are the result not merely of market forces, but also the perverse impact of Proposition 13, which allows people to stay longer in their homes, as well as regulatory restraints on new housing construction. The regulatory vise, if anything, is almost certain to get worse as the state's "climate change"-inspired regulations seek to all but ban new single-family house construction, all but guaranteeing higher prices. Until recently, the impact of net outmigration has been ameliorated by immigration, not just the kind memorialized in Wilson's grainy ads but of the legal variety, as well. Over the past decade, however, immigration enforcement data indicates that California has suffered a gradual erosion in its appeal to immigrants; this is particularly true for the L.A. Basin. In 2000, for example, Los Angeles-Orange County received 120,000 new immigrants; a decade later the annual intake had dropped by 87,000. Essentially, immigration into the L.A. Basin fell 27.5 percent while immigration nationwide remained essentially stable; the numbers of Houston, Dallas, Seattle, Washington and New York, in contrast, remained level or grew. Particularly troubling has been the relative decline in Asian immigrants, whose numbers now surpass Hispanics, and who also tend to be better educated than other newcomers. An analysis of migration of Asians conducted by demographer Wendell Cox, shows Asians heading increasingly to places like Houston, Dallas-Fort Worth, Raleigh, N.C., and Nashville, Tenn. Still home to the largest concentration of Asian-Americans, the L.A. Basin's growth rate is now among the lowest in the nation, 24 percent in the past decade, compared with 39 percent in New York, and more than 70 percent in Dallas-Fort Worth and Houston. Some, like USC's Dowell Myers, suggest slowing migration and population growth may actually be a positive, and claims "the demographic picture is brighter than it is has been in decades." He suggests that, rather than depend on the energy of newcomers, we now ride on "the skills of homegrown Californians." Certainly, slower growth may help with our traffic problems and even provide a break on housing inflation, but the contours of our demographics appear less than favorable. Over the past decade, for example, virtually all the largest metropolitan areas – including Silicon Valley – have seen slower percentage growth in college graduates than the national average. The big exception has been Riverside-San Bernardino, which started from a low base but has appeared to attract some college-educated people from the more expensive coastal regions. In contrast, largest rate of growth in educated people has taken place in regions such as Raleigh, N.C.; Austin, Texas, Phoenix and Houston; all these cities have increased the number of bachelor's degrees at least one-third more quickly than the major California cities. Although California retains a strong educational edge, this is gradually eroding, particularly among our younger cohorts. In the population over age 65, California ranks an impressive fourth in terms of people with bachelor's or higher degrees; but in the population under 35 our ranking falls to a mediocre 28th. If we are becoming more reliant on our native sons than in the past, we may be facing some serious trouble. This pattern can also be seen in those with graduate educations, where we are also losing our edge, ranking 19th among the younger cohort. More worrying still is the dismal situation at our grade schools, where California now ranks an abysmal 50th in high school attainment. Our students now rank among the worst-performing in the nation in such critical areas as science and math. If these issues are not addressed forcefully, what then is our demographic trajectory? One element seems to be a decline in the numbers of children, particularly in the expensive coastal areas. Over the past decade, according to the Census, the Los Angeles-Orange County region has suffered among the most precipitous drops in its population under age 15 – more than 12 percent – than any large U.S. metropolitan area. The numbers are staggering: in 2010 the region had 363,000 fewer people under age 15 than a decade earlier, while competitors such as Dallas-Fort Worth and Houston increased their youngsters by over 250,000 each. Orange County alone suffered an 8 percent decline in its under-15 population, a net loss of 54,000. If current trends continue, we may not be able to rely on immigrants to make up for an nascent demographic or vitality deficit. In fact, demographer Ali Modarres notes that L.A.'s foreign born-population is now older than the native-born, as their offspring head off for opportunities in lower-cost, faster-growing regions. Ultimately the state's political and economic leadership needs to confront these demographic shifts, and the potential threat they pose to our prosperity. We can't just delude ourselves that we attract the "best and brightest" from other states without creating improving the basics critical to families, from other states and abroad, such as education, reasonable housing costs and business climate. 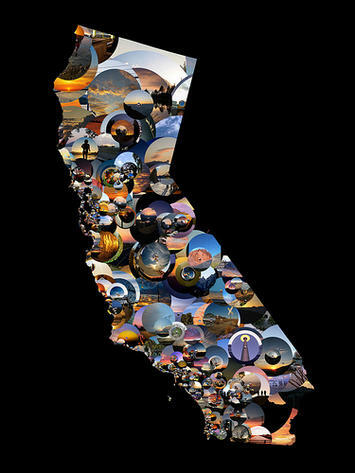 California 's beauty, great weather and a bounteous legacy remain great assets, but the state can no longer rest on its laurels if it hope to attract, and retain, a productive population capable of rebuilding our state's now-faded promise.